What made Massive Attack Massive? ‘Unfinished Symphony’, that’s what. Released in 1991, ‘Unfinished Symphony’ propelled Massive Attack into a 90’s, and for many is still the soundtrack that encapsulates this era best of all. Has anyone been as prolific as MOBY? it is hard to say, but this one-man band is something quite special. Giving the 90’s a sound that was thoughtful, compositionally beautiful and popular. Providing the template of electronically thoughtful music for musicians like Coldplay later in the 00’s. Really a one of a kind! This band gave the 90’s alternative rock scene a more electronic sound, with the use of loopers. Song’s like ‘Creep’ ‘Karma Police’ and ‘Paranoid Android’ catapulted this band from melancholic Abingdon, Oxfordshire, without losing the melancholic. One can’t help but hear the seeds of a whole genre of indie music that was to come in the 00’s, being planted by Radiohead in the 90’s. They are responsible for much more than they are given credit for. This duo; Phil and Paul Hartnoll; named Orbital after the M25 Orbital Motorway that encircles London. The band was deeply embedded in the rave scene of the 90’s that often took place in the abandoned warehouses that dotted the M25. Orbital released music at a crazy rate in the 90’s; with albums like ‘Orbital in 1993, ‘Snivillisation’ in 1994 and ‘The Box’ and ‘In Sides’ in 1996. All great albums, with Allison Goldfrapp providing much of the vocals. Bjork is often remembered now as that Icelandic musician that wore the Swan Dress at the 2001 Academy Awards. In current standards it is difficult to see how such a dress made such an uproar in 2001, but it did and her Music in the 90’s was no different. Bjork’s unusual approach to vocals, arrangement and electronic sounds made hits like ‘It’s Oh So Quiet’ and ‘Hyperballad’ strange dreams, which made her an icon of the 90’s. Before the Tron Legacy of 2007-11, this french pairing were creating a distinct and lasting sound that makes them stand out in electronica as one of the best bands ever. Albums ‘Homework’ released 1993, and ‘Discovery’ in 1999, launched the band into the electronica stratosphere . Songs like ‘Harder, Better, Stronger, Faster’ have been reworked later by other musicians and ‘Digital Love’ and ‘One More Time’ have become all time classics. Otherwise known as Quentin Leo Cook; Fatboy Slim again is a one-man-band; this time behind the DJ decks. 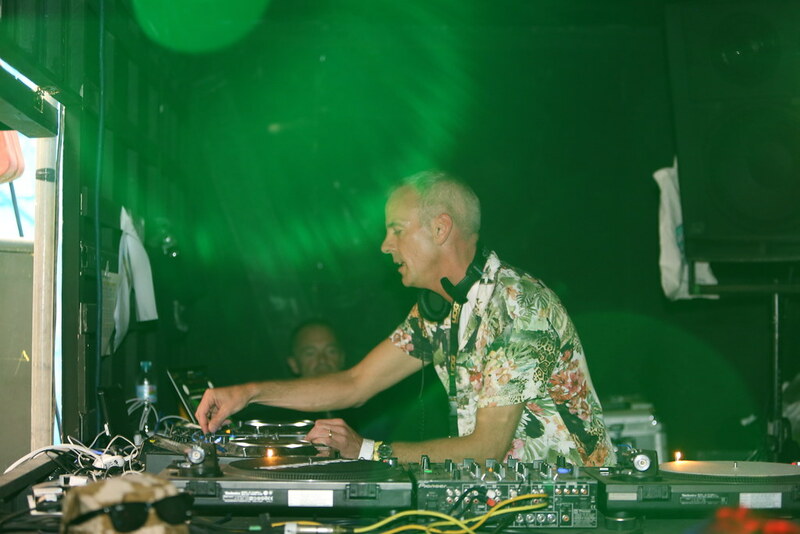 FatBot Slim really made DJ-ing an art-form and placing it firmly into the music scene a serious genre. track like ‘Right Here, Right Now’ are still the tracks of a dance nation, for which we are forever grateful.